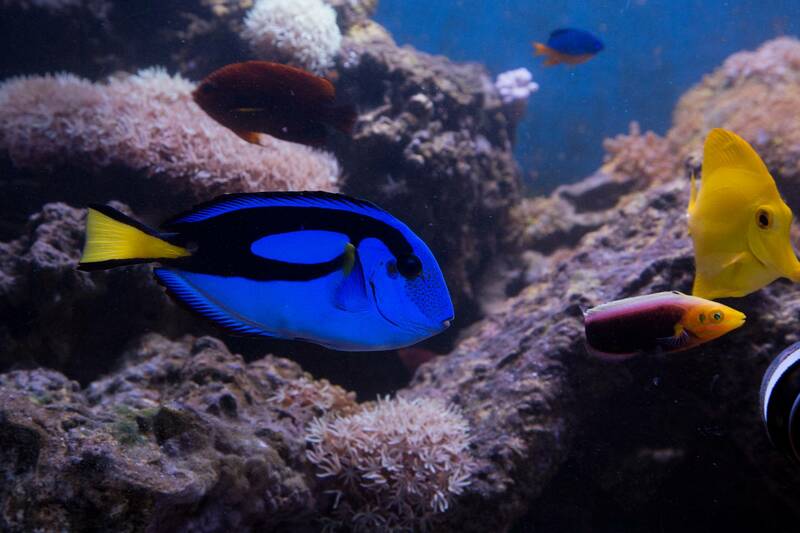 Dory has reached the last stop of her journey that started on the opposite side of the globe. 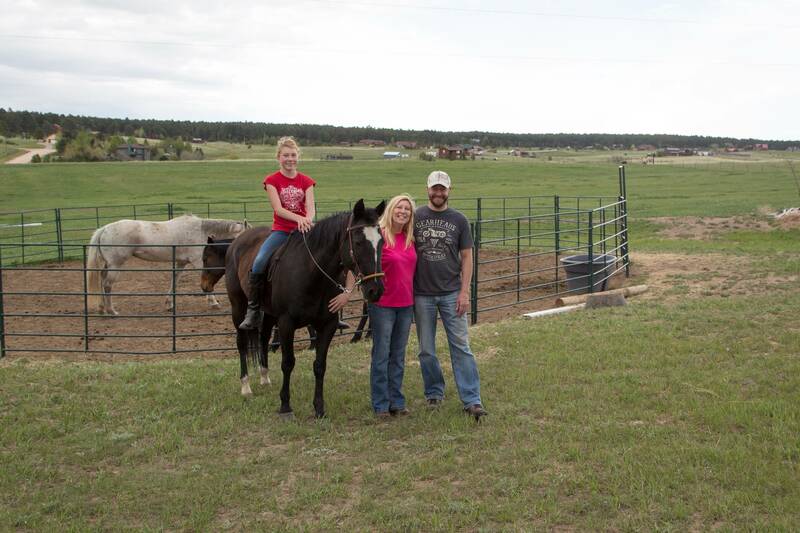 She has traveled more than 11,000 miles and changed hands numerous times before reaching her final destination in the aquarium of a hobbyist in Colorado Springs, Colorado. While this land-locked state may be the last place one expects to find a blue tang, there is in fact a thriving hobbyist community here. 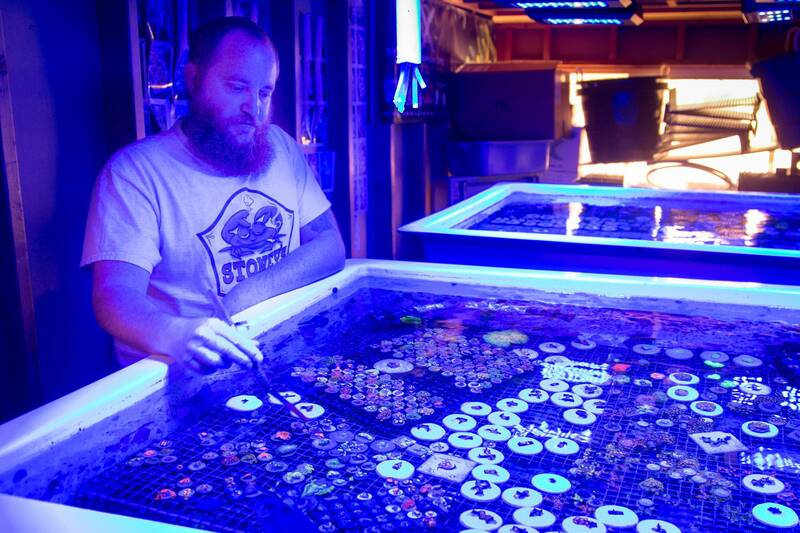 The Colorado Aquarium Society, the Marine Aquarium Society of Colorado and the Colorado Reef Keepers are just a few examples of how organized and dedicated the thousands of local hobbyists here are. We talked with some of these aquarists to hear how they keep fish so far from the ocean, and how many steps back in the supply chain they understand. Approaching one aquarist’s home, we saw the telltale blue glow of a saltwater aquarium coming from the garage. Here we met Chris Bueschel, who has been in the hobby for nearly 15 years. 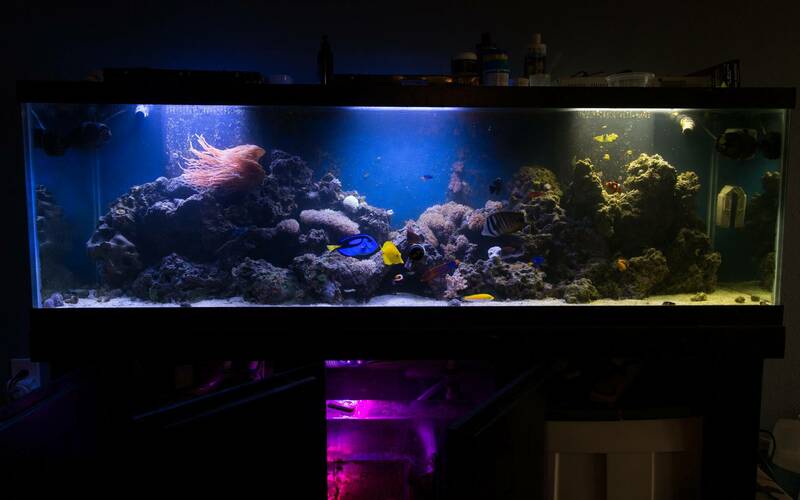 After starting with a freshwater aquarium, he quickly shifted to keeping saltwater tanks, culminating in a 600-gallon tank complete with live coral and fish from reefs. In order to successfully keep these reef-dwelling organisms alive in a captive environment, the aquarist must recreate the conditions and complexity of a natural reef inside of a glass box. This is a gear-intensive endeavor, requiring high-intensity blue spotlights to mimic the sun, powerful pumps to simulate water flow, carefully constructed salt mixtures to recreate water chemistry, foam-fractionating protein skimmers to recreate frothy waves, and hundreds of pounds of rock shipped from reefs around the globe – all of this in order to seed the tank with the appropriate microbiome. These aquariums are a far cry from the goldfish bowl, trending closer to life-support systems for the alien organisms that they sustain. 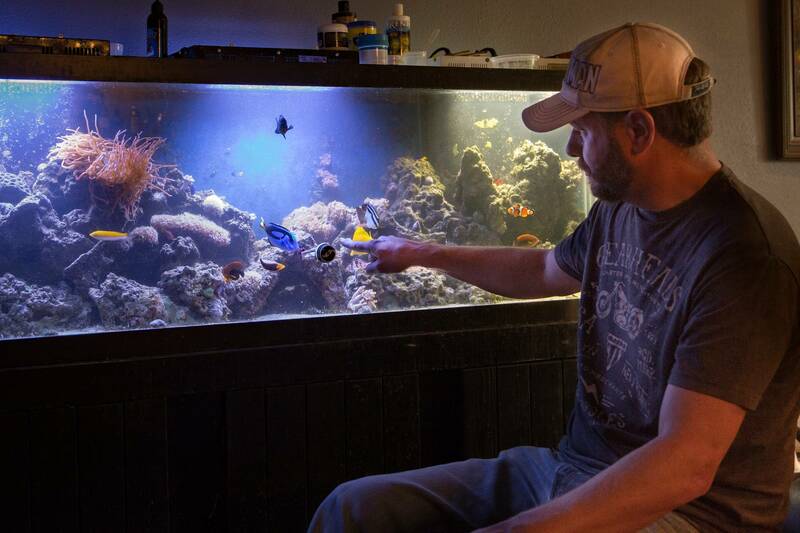 Hobbyists like Chris may purchase aquarium fish from a local fish store where they can observe and purchase a specific fish. Depending on the retailer, there are different levels of knowledge about the fish’s origin, but most simply provide a broad regional description like “Indo-Pacific.” As with most retail items, an increasing number of hobbyists purchase their fish and corals through online retailers. An aquarist will select a size and region of origin for a species, and it will arrive on their doorstep in a small bag the next day. While knowledgeable aquarists are concerned with the regions that their fish come from, few understand what it takes to bring a fish all the way from their reef habitat. Among the aquarists who we spoke to, there were varying levels of understanding about this journeys. Even for the most knowledgeable, the aquarium fish trade is mostly out of sight for a hobbyist. Unless one is purchasing a rare specimen, getting any specific information about its path is nearly impossible. From the hobbyists’ perspectives, most of the concern is around the health of their fish. First and foremost is to avoid fish caught with cyanide, as the fish appear healthy at the start, but quickly deteriorate and may only survive a short time. All said they prefer to purchase fish bred in captivity like Nemo, but recognize that selection is extremely limited because of the inability to breed most species. Captive-bred fish are seen as hardier, and less of a burden on natural reefs. In the end, this blue tang unites the fishermen in small fishing communities like Toropot, Indonesia, with hobbyists a world away. While both sides may not know much about one another, they are united by the same appreciation for coral reefs and the mesmerizing creatures that they contain.